I planned to write something Wednesday, my first day off work for Thanksgiving,but I woke up sick and ended up sleeping most of the day. There are a lot of great rivalries this week (see my blog about the battle of the A&Ms [Louisiana State University and Agricultural and Mechanical College and Texas A&M] ,and see last week’s blog for mention of some rivalries I’ve enjoyed over the years), but there are plenty of stories about them and previews of the big games by other outlets, so I wanted to write something a little different (although also in the theme of this week’s games as many coaches will be coaching their last games at their current schools). If you ever play six degrees of Will Muschamp (or whatever you would call a game that involves who coached with whom), this could be useful. For more about a somewhat unappreciated rivalry though, former LSU beat writer Ross Dellenger wrote good article for the Sports Illustrated about the Egg Bowl and especially some of the coaches. The only thing I disagreed with was his characterization of Ole Miss head coach Matt Luke as mild-mannered just because he’s respectful of other teams and coaches. He’s extremely animated during games though. I’ve given more attention to the Mississippi schools than most people do, even people who write extensively about the SEC, but I haven’t talked that much about Ole Miss playing Mississippi St. I did write about former Mississippi St. head coaches Sylvester Croom and Jackie Sherill (first sub-section under the heading A&M coaches), both of whom are mentioned in the article (and both of whom played for and coached with Bear Bryant, another former Texas A&M coach, at Alabama). Of course I wrote about Ole Miss’s series with their second and third rivals, LSU and Vanderbilt (third section), and Mississippi St.’s series with their second rival LSU (there isn’t much worth writing about the series with their #3 Alabama). Anyway, that article about the Egg Bowl got me thinking about a lot of coaches from the 1990s and early 2000s, partly because of stories like that and partly from things that have come up during Ed Orgeron press conferences in the last few weeks. Ed Orgeron walks off the field for the last time as Ole Miss head coach after losing in the Egg Bowl on November 23, 2007. Orgeron coached Ole Miss for a few Egg Bowls (winning only one), but before that he was the strength coach at Arkansas under Ken Hatfield, who also happened to be the coach of Rice the last time LSU played them before this season (1995). Orgeron was asked about the Saints on Monday, and he seemed very excited about their performance this year. I had forgotten that he was a Saints assistant for a season before joining Lane Kiffin’s staff at Tennessee. Not that he wasn’t a fan long before that having grown up in Cajun country and having been a close personal friend to (and high school and college teammate of) former Saints quarterback Bobby Hebert. Orgeron also mentioned his affinity for Saints defensive coordinator Dennis Allen, who was the secondary coach the year Orgeron spent in New Orleans. After returning to the Saints in 2015, Allen became defensive coordinator when Rob Ryan was fired. Rob Ryan as Oklahoma St. offensive coordinator in the 1990s. Orgeron also said he was very happy for Les Miles after his hiring by Kansas. I found out that in 1997 Miles was the offensive coordinator at Oklahoma St. at the same time that Ryan was the defensive coordinator for Oklahoma St. (I usually would say the Cowboys; but that could be confusing since both Miles and Ryan also coached for the Dallas Cowboys, though at different times). Those two characters on the same coaching staff must have been interesting. The combination worked though: that was the one year between 1988 and Miles’s tenure as head coach in Stillwater (2001-04, during which the team made three bowl games) that Oklahoma St. reached a bowl game. When Miles went to Dallas, Ryan stayed; but the college Cowboys’ fortunes declined (not that the NFL Cowboys improved either). When Miles returned to Oklahoma St. as head coach, his offensive coordinator was Mike Gundy, who would take Les’s place as head coach and remains in that position today. Les’s next offensive coordinator(when he got to LSU) was a guy named Jimbo Fisher, whom Miles inherited from Saban. When Miles won the Houston Bowl in 2002, he became the fourth head coach in 40 year sto coach Oklahoma St. to a bowl win. The second of those coaches was Jimmy Johnson, who played at Arkansas with Hatfield and who hired Orgeron at the University of Miami. Johnson also coached some other Cowboys to “Bowl”wins. Jimmy Johnson as head coach of Oklahoma St. in 1983. After the year he lost out to Ken Hatfield when Arkansas needed a replacement for Lou Holtz as head coach. To go back to Fisher, of course it so happens that he’ll be the head coach of LSU’s opponent this weekend. He also happens to be the head coach of fullback Ben Miles, Les’s son. I remember Fisher’s last season at LSU very well. LSU’s 7-3 loss to Auburn still stands out in my mind. Needless to say, I wasn’t thrilled with all of his calls in that game; but some credit goes to Auburn’s defensive coordinator Muschamp ( later head coach at Florida and now head coach at South Carolina). Auburn’s head coach for that game was Tommy Tuberville, who came up in that Egg Bowl story because he was head coach at Ole Miss before going to Auburn, so that takes us full circle in this story. I wanted to mention a couple other items of interest from the 2006 season. 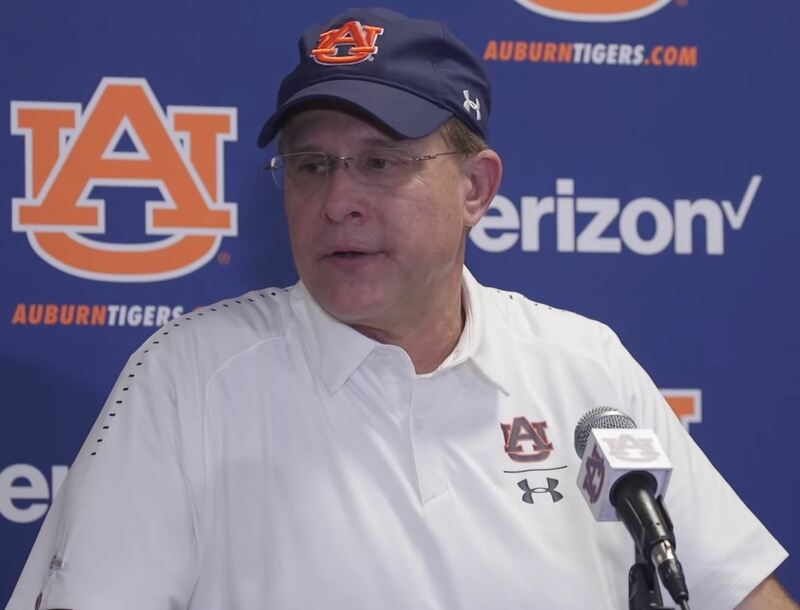 That season marked current Auburn head coach Gus Malzahn’s first foray into college football, as offensive coordinator for later-Ole-Miss-head-coach Houston Nutt at Arkansas. Arkansas won the SEC West that year but lostin the regular-season finale to LSU before losing to Florida (the eventual national champions who helped prevent LSU from winning the West). Future Kansas head coaches Charlie Weis and Les Miles converse after the (January) 2007 Sugar Bowl. Since the Tigers’ only losses all year were Florida and that Auburn game I mentioned,this allowed LSU to represent the SEC in the Sugar Bowl. LSU’s opponent was Notre Dame, then coached by Charlie Weis. Weis has something elsein common with Miles: both were later hired as head coach of the Kansas Jayhawks. I hope, unlike Weis, Miles can win 22% or more of his games as head coach with the Jayhawks though. This is the first game between LSU and Texas A&M in four years where there will not be some major drama about either respective coaching staff. Last year, the game was the last of Kevin Sumlin’s tenure in College Station. News of his firing had been leaked earlier in the week. In the previous year, Ed Orgeron was just an interim coach; the interim tag was only removed after deals could not be reached with Tom Herman or (coincidentally enough) Fisher. The year prior, news had leaked of Miles being fired, but as with many Miles stories, that turned out not to be the case. In slight defense of the media, there had not been a decision to keep Miles before the game either. But again after a lack of desirable candidates at suitable terms emerged, a decision was made to keep him (though his reprieve turned out to only be until the following September). Fisher was also mentioned at that time. Despite all the drama and mixed emotions of those three games, LSU’s physicality was able to overcome Texas A&M’s finesse on each occasion LSU has played Texas A&M since and including the 2010 Cotton Bowl, which was the first meeting between the two schools this century and which pre-dated by about 20 months the Aggies’ participation as an SEC program (and Kevin Sumlin’s first game). The character of Texas A&M has changed since Fisher replaced Sumlin. The Aggies have become a team that runs really well (on conventional running plays, not just option pitches and quarterback runs) and also stops the run really well, so this will be a different challenge for the Tigers. If LSU wins, it will set the record for longest winning streak in the series. In another tie to the Kansas hiring of Miles, the man Miles is replacing in Lawrence, David Beaty, was an assistant of Sumlin at Texas A&M from 2012 to 2014. So he was an assistant during the last game in which there was not major drama around either coaching staff (although there was some disquiet since each team entered the game with four losses). An artist’s rendition of Kevin Sumlin (left) and John Chavis as Texas A&M coaches. There was some drama involving the assistant coaches after the 2014 game, but not until later. About five weeks after the Tigers held the Aggies to just 17 points in that contest, LSU defensive coordinator John Chavis was hired by the Aggies to the same position (he was fired along with Sumlin after the LSU game last year). Chavis now occupies that position at Arkansas. Will Muschamp, Nick Saban, and Jimbo Fisher pose for the picture of the 2004 LSU coaching staff. Later Tennessee head coach Derek Dooley was on staff, as was current Georgia head coach Kirby Smart. There are no hard feelings if you ask me though. LSU is better off with Dave Aranda, who has been in the position since a year after Chavis left. LSU’s defensive coordinator for the intervening year (hired along with Orgeron) was Kevin Steele, who, as DC for Auburn, will face Alabama (another former employer of his) during the Iron Bowl. He replaced the aforementioned Will Muschamp, who was on LSU’s staff at the same time as Jimbo Fisher. Later this week I may write a little more about the LSU-Auburn game. You can read this for now. And this was an article I liked from the Alabama media. Also, I’ve updated my Rival Series entry about the LSU-Auburn series. While his job seems safe for now, Auburn head coach Gus Malzahn (pictured addressing the media after the game) has faced criticism for losing to LSU in consecutive seasons after his team scored 20 or more consecutive points in each game. I’m still not exactly sold on the long-term success of this LSU team. I think an Alabama or a Georgia (the Tigers will have to play both) would have put LSU to bed had they been up 21-10 instead of Auburn. That said, after three weeks, I think you need to give teams credit for what they’ve done so far; and no team has come close. Two wins away from home over teams who were in the top 10 at the time (and who would probably be in the top 5 without the loss) is something to be proud of if it takes you 13 games to do it, not to mention 3. It will still take at least a couple more weeks before I will rely just on the results so far, but I’m starting to move in that direction. Since every team has now played at least one FBS opponent, I was able to do a trial run of my computer rankings. Indiana and Army were both in the top 10 through that method, so I felt it necessary to at least put them in the top 25 below. I didn’t want to drop Wisconsin all the way out, but I thought they at least needed to be below the team that beat them. Since BYU has a loss, they should also be behind the team who beat them given that that team is undefeated, so that’s why Cal (UC-Berkeley) is there. Both were in the top 25 of my computer formula as well. Kentucky was 18th in the trial run—and they did beat a team in my preseason top 25—so I added them as well. There are seven teams who are in that top 25 and not in the top 25 below, but that number will be smaller next week and may be completely eliminated the following week. For now, I’m still looking at each schedule to make sure a ranking is justified. I’ll use the example of the team that came up #25 in the trial run, Louisiana Tech (which just happens to play LSU next). Although they’ve only played two games, they beat an FBS opponent (South Alabama) who beat another FBS opponent (Texas St.). South Alabama has a really strong strength of schedule for the moment because their only other loss is to Oklahoma St., but obviously beating South Alabama and an FCS team isn’t enough reason for Louisiana Tech to be ranked right now. That’s why it’s too soon to only look at results this season without any context. I don’t think I did anything too weird in the rest of the rankings. LSU and Oklahoma St. moved up for obvious reasons. Pitt beat Georgia Tech, which was in some preseason top 25s; so I think they gave some legitimacy to Penn St., which beat Pitt easily. Notre Dame struggled again; and the previous team they struggled against (Ball St.) lost badly to Indiana, so that’s why the Irish are behind Penn St. I’m giving less consideration to margin of victory though. Otherwise Notre Dame would have fallen more. To be fair, Vanderbilt is probably a good bit better than Ball St., so at least the quality of play in Week 3 was better than that in Week 2. 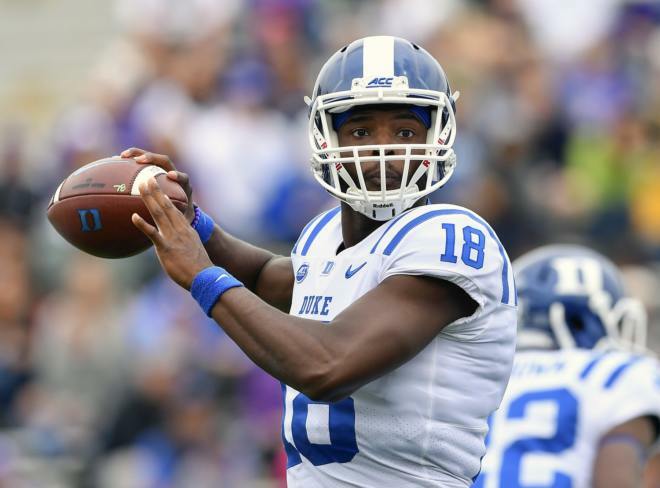 In Waco on Saturday, Duke quarterback Quentin Harris threw for three touchdowns in his first start. Also, I moved Duke up a bit because they’re one of the best teams on my computer list, and I already thought they deserved the ranking last week. I don’t see a strong argument for anyone lower to be in that spot. I don’t know how good Baylor is, but Duke has now beaten Army (one of the best non-power-conference teams) and went on the road to beat two FBS Power Five opponents (Baylor and Northwestern). Not only that, but (if you care about this sort of thing) they led by at least 14 points at the half in each game and were never ahead by fewer than 10 in the second half. Welcome back. I’ve had a busier than usual offseason, so apologies for not writing anything all that time. I’ll get right to it. NOTE: I use Phil Steele for numbers of returning starters. He only counts offense and defense. The prior rankings refer to my list from last year as well as my weighted rankings for teams not in the top 25. Coincidentally, none of these teams were in the handful of games that have already been played. 1. Alabama, #1, CFP Champions – Despite very few (10) returning starters, Alabama has been so consistently in the top 2 (or at least top 4) at the end of the season, I can’t put any other team #1. 2. 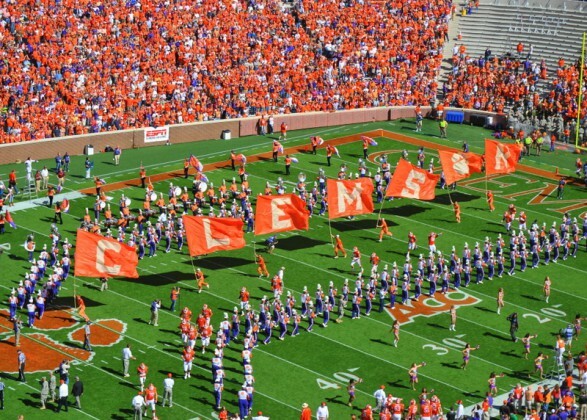 Clemson, #4, CFP Semifinalists – Although Clemson missed the championship game after being there the prior two years, I had to give the Tigers the edge for #2 over Georgia, last year’s runners-up. Seven returning starters on offense and 8 on defense could be scary even from a middling top-20 team. 3. Georgia, #2, CFP Runners-up – Georgia has a similar profile to Wisconsin, so I had to go with the better team from last year. Wisconsin was very good, but the competition throughout the season could have been better. The Badgers got mixed reactions from the major polls. I have to disagree with the coaches. I don’t see Oklahoma back in the Playoff, and despite the returning starters I can’t take Washington seriously as a title contender until proven otherwise. I don’t see why I shouldn’t leave the Buckeyes where they finished last season. They’re similar to Alabama in consistency from year to year (maybe not from game to game) regardless of how many returning starters. I don’t think the Meyer suspension will make a difference. I don’t understand TCU being so highly-rated, and the Buckeyes could probably win the other two games easily if the players drew up the plays themselves. The chances of winning the division are too low to rank Ohio St. higher. I’m not very excited about this pick, but the Huskies have a good chance to go undefeated or make the playoffs as a 1-loss conference champion. In that scenario, they would most likely finish with a similar result to 2016, but without anyone else to get excited about, I had to go with CFP Bowl experience and 17 returning starters. They could lose to Auburn, but Auburn has so many other potential losses on the schedule, the Huskies will most likely finish higher anyway. This spot goes to the Sooners basically by default. Michigan, Michigan St., and Notre Dame weren’t good enough last year. Penn St. doesn’t have enough returning starters (10). Auburn is not especially appealing on either count. 8. Stanford, #18 – Stanford has to go on the road to Oregon, Washington, and Notre Dame, but on the other hand, the Cardinal beat all 3 last year. It’s a matter of not losing to teams like USC (twice) and San Diego St. again though. Other than the first game against the Trojans, Stanford lost each of the other 4 games by a field goal or less. Having 15 starters back can make the difference in games like that. 9. Michigan St., #11 – The Spartans were completely out of their depth against Notre Dame and Ohio St. last year, but the combination of 10 wins last year and 17 returning starters was hard to pass up. 10. Auburn, #12 – I’m a little wary of this pick because the Tigers are usually overrated in the polls, and I’m ranking them where the coaches’ poll has them. But there just isn’t a strong reason not to give them this spot. The Tigers did happen to lose to UCF, but it wasn’t exactly decisive. The only loss by more than one possession last year came against Georgia. A mediocre number of returning starters (13) made it hard to move the Plainsmen any higher though. 11. U. Miami, #13 – I don’t understand why the polls aren’t more skeptical of the Hurricanes. I think you have to do something more in recent years to get into the preseason top 10. Fourteen isn’t a bad number of returning starters, but it’s like we’re pretending they didn’t finish last year on a 3-game losing streak. 12. Notre Dame, #8 – I’ve made no secret of my opinion about the last time the Irish took the field, so I don’t think they were really the 8th-best team. In the first six weeks alone, the Irish will play Michigan, Stanford, and (at) Virginia Tech. If they get through that, we may be looking at a top-10 team or better. Fifteen returning starters give the Irish a decent chance to win each game. Like Miami, the Wolverines also finished last season with 3 losses. In their defense, Wisconsin and Ohio St. were two of the five best teams in hindsight. South Carolina was probably just a letdown. The only loss to really hang their heads over was the blowout at Penn St. The middle of the top 25 seems like a realistic goal for a team with 17 returning starters despite not looking very good on paper last year. 14. USC, #10 – The Trojans have some experience (13 returning starters), but not at the QB position. #14 for a defending Power-5 conference champion is as low as I was willing to go in these circumstances. 15. Penn St., #9, Fiesta Bowl Champions – The Nittany Lions are 22-5 over the last two seasons, and 4 of those losses were by a field goal or less. I think they’re going to take a step back with only 10 returning starters, but no one should be checking them off as an easy win. 16. Mississippi St., #19 ………………………………………………………………………………………………………………………………………………………………………………………………..
I’m really looking forward to the Dan Mullen Bowl on September 29. In 2012, the Gators shocked many of their own fans by starting 11-1 (before losing the bowl game to Louisville) after going only 7-6 the year before. I can see a similar turnaround here except I think the ceiling is a little lower. They just went off the rails after losing home games against LSU and Texas A&M by a combined three points in an 8-day period. I did give Mississippi St. the edge based on last year’s results though. Florida has the most returning starters in the SEC with 19, and the Bulldogs tied with Arkansas for second with 17. The Broncos might just be the most likely team in this list to go undefeated. Fresno St. is the only team on the schedule who beat them last year (although the Broncos won the rematch). Both have a high number of returning starters, 15 for Fresno, 16 for Boise. The Bulldogs did lose 4 games last year, but they also played Alabama and Washington. Staying in the G5 conferences, I think the Knights deserve some recognition after going undefeated last year. They only have 12 returning starters, but that’s tied for fifth-best in their conference. Three of those teams with more returning starters finished .500 or worse in conference, so there is a very good chance UCF will repeat. On the other hand, there are a few possible losses out of conference. The Horned Frogs are last in the Big XII in returning starters (11), so only falling six spots is rather optimistic. It’s just hard to find teams to feel good about at this point. Other than the two losses to Oklahoma, the only loss from last year was by a touchdown at Iowa St. I’ve seen Patterson credited with knowing “how to rebuild,” but he also knows how to have a losing record in a rebuilding year. When I mentioned UCF, Memphis was the one team in the conference with more returning starters who had a winning record in conference last year. The Tigers’ only regular-season losses were to UCF. In the first matchup, the Tigers lost by 27, but they improved enough during the year to require two overtimes before falling in the American Championship game. Memphis lost to Iowa St. by 1 in the Liberty Bowl. 23. South Carolina, #23 – The Gamecocks have won 6 games in a row that were not against top-3 opponents. This included wins over Florida and Michigan. South Carolina returns 14 starters including the quarterback, so keeping them at the same spot they finished made sense. 24. 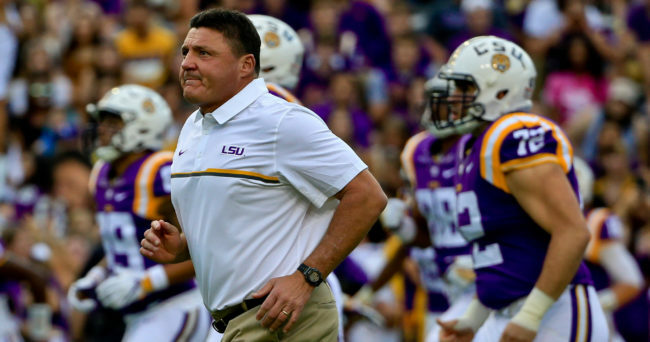 LSU, #20 – It’s hard for me to pick a team that’s tied last in its conference in returning starters to improve, especially without a tested quarterback or offensive coordinator. As for the OC, Steve Ensminger did do a good job in relief of Cam Cameron a couple of years ago, but having some success against mediocre teams with an offense that hadn’t been working well is different from running the offense throughout the offseason and preparing the players. He also had help from Leonard Fournette and Derrius Guice. There is a plus side to the uncertainty (catching opponents off guard etc. ); but in preseason, uncertainty is usually bad. 25. Oklahoma St., #22 – The Cowboys played well in the loss to Oklahoma last year, but that’s probably about the best they can expect this year as well. In the last six games last season, Okie St. won three games against ranked teams, two on the road and one in the bowl game. With only 12 returning starters and also a new quarterback to break in, it may be hard for the Cowboys to stay ranked. If you’re looking for my comments about the LSU game, go here. This week starts the transition to my objective computer system. A couple of disclaimers for those who may not remember. No one is being penalized for a win (if they move down after one), only for not accomplishing good wins. Ranking team A ahead of team B does not necessarily mean I think team A would beat team B. Once the transition is complete, teams will be in order of their accomplishments (with points subtracted for losses of course). For the moment though, I’m still giving some deference to my subjective rankings. Auburn and Florida St., for instance, aren’t even in the top 60 of the objective ratings. They’re basically placeholders for right now. I rate them highly enough subjectively to stay in; but as I give less importance to that, they will likely fall out until they can compensate for the respective losses with quality wins. Apart from those two exceptions, I required all the other teams to at least be better than U. Miami, which hasn’t played a game against an FBS opponent yet and only has a win over Bethune-Cookman. I guess another disclaimer is I don’t BLAME the team for not having played anyone due to weather events, but it’s not a moral judgment. The whole point of my ratings system is to boil it down to what has been shown on the field. Anyway, a couple of other teams I considered were Iowa and Colorado; but they both have big games next week where they can play their way in (Penn St. @ Iowa and Washington @ Colorado). In addition to those two, some other match-ups of unbeatens will be significant: Alabama @ Vanderbilt, TCU @ Oklahoma St., Mississippi St. @ Georgia, USC @ UC-Berkeley, Toledo @ U. Miami, Texas Tech @ Houston, and UCF @ Maryland. Something useful to look at if there are questions about some of these teams is wins by opponents. Kentucky’s opponents have a total of four wins (three of those against FBS teams). UC-Berkeley’s opponents have four wins (two of those over FBS teams). Mississippi St.’s are the same as Cal’s (just not quite as good), and so forth. 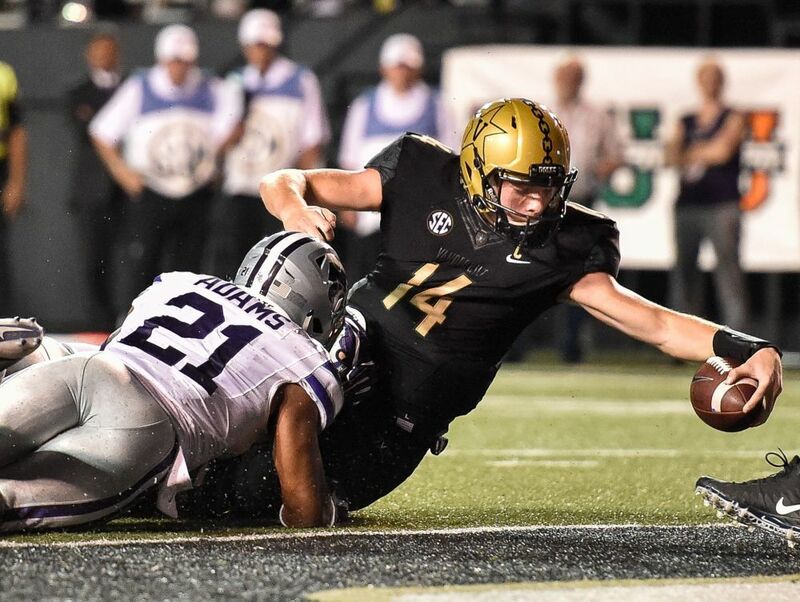 … and Vanderbilt scored major wins over ranked teams late on Saturday night. I was in a hurry for last week’s rankings, so the numbers in parentheses refer to last year’s final ranking. The numbers in the middle for the top 25 are last week’s rating. Reasoning below. 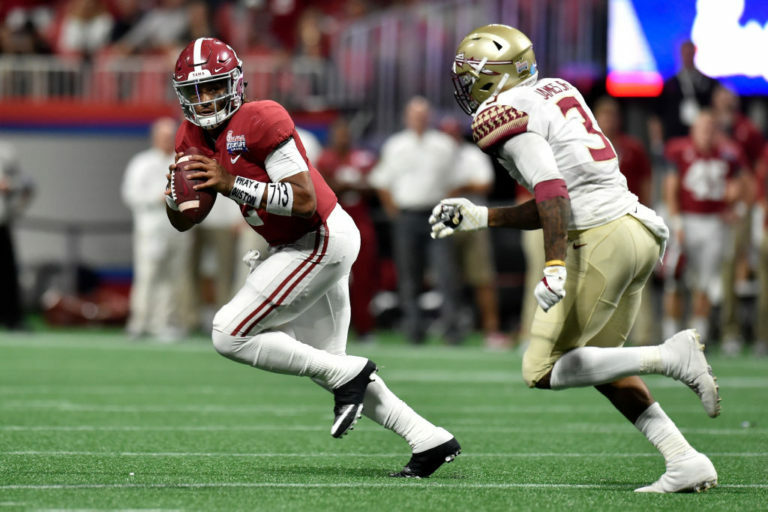 Alabama’s Jalen Hurts looks to pass against Florida State. 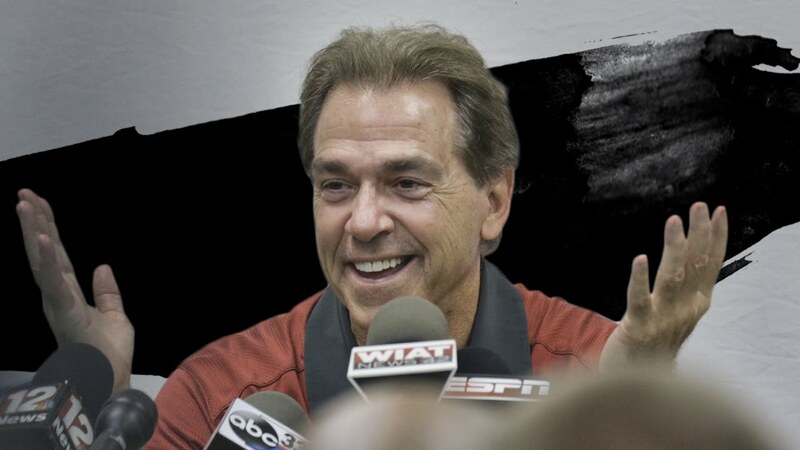 As expected, Alabama once again asserted itself as a major contender for the national title, inasmuch as that can be done in Week 1. Ohio St. struggled in the first half, but I didn’t see any other major teams playing a conference road game. I’m not going to pretend Indiana is great, but the Hoosiers have made it to bowl games in the past two seasons. Most importantly, the Buckeyes pulled away fairly easily in the second half. There is nothing really to add about #3 to #8; they all did what they were supposed to do. I didn’t have Michigan ranked all that highly at the end of last year – when they lost three of the last four – and they had very few returning starters, so that’s why I opted not to rank them in the preseason. I didn’t see them as another 2016 Ohio St. because Jim Harbaugh has only been there a couple of years, but it looks like he has enough good young players to compete against some of the top teams. I’m not predicting that they will beat Ohio St., Wisconsin, or Penn St., but the chances of winning one of them are higher than I had them before the Florida game. Florida St. had more success against Alabama than they’re being given credit for because they only managed to score 7 points, but I’m also not going to pretend that the loss of their starting quarterback for the season doesn’t lessen their likelihood for success. So that’s why I put them behind Michigan even though a few days ago I had Florida St. projected in the playoff and Michigan unranked. There are a number of teams that won’t get to prove themselves for a few weeks like Michigan has, so it may be that other teams just need to catch up. Some of the teams that are a spot lower didn’t do anything wrong but have Michigan inserted ahead of them, but I think Washington deserved to fall out of the top 10 after not putting away Rutgers (one of the worst power 5 teams last year) very convincingly. Georgia and LSU both played apparently decent teams and both won by more than 20. If I really wanted to punish Washington I would have put them below those two; but like with Ohio St., I can’t be too critical about playing their first game on the road like that even though Ohio St. probably played a much better team. Auburn didn’t have a very good opponent in Georgia Southern, but the Eagles did give Ole Miss about all they could handle last year. USC seemed overwhelmed for all but the last 5 minutes or the game. USC struggled with Western Michigan, which makes me feel vindicated about not rating them as highly as a lot of people did. We’ll see how well the Trojans handle Stanford though. If they win, I’ll likely put them in the top 10 all the same. Kansas St. had a rough quarter and a half, but I can’t complain too much regardless of the opponent when you’re up 22 at halftime. I think they have more pieces in place than Florida or South Florida does. I need to see South Florida or Miami do more to put them ahead of the Gators as #2 in the state. Louisville didn’t do very well against Purdue, but it’s a win over a power 5 team. There was certainly no reason to put Northwestern ahead after the Wildcats didn’t really separate themselves from Nevada until 5 minutes left in the game. Washington St. finally took care of business against an FCS opponent after losing to Portland St. and Eastern Washington, respectively, in the past two years. TCU and Oregon also won easily over FCS opponents. Tennessee held on in overtime against Georgia Tech, whom I regarded as #26 entering the year, so I saw no reason to move the Vols up or down relative to the neighboring teams. Paul Johnson of Georgia Tech got praise for going for 2, but that’s nonsense. It’s giving the other team the advantage when you go for 2 after they go for 1. You should make decisions to give your own team the advantage. Two-point-conversions are only successful about 40% of the time, and Georgia Tech had at worst a 50% chance of winning in overtime (or arguably higher given how easily the Yellow Jackets scored the last touchdown). The only good reason to go for two there is if you believe that Tennessee was somehow in the process of gaining more than a 3:2 advantage going forward. The commentators mentioned how they would have had to go for 2 in the next overtime anyway, but so did Tennessee. So in that case, it wouldn’t have been an automatic disadvantage. I’m pasting my word version of this at 7:30 Eastern. Check back in an hour or so and it will be better quality and have pictures. I just wanted to make sure it was up before any games really got going. I have no idea of anything that happened since I just got done driving back in a rainstorm and haven’t turned on the TV or logged onto any sports sites. As always, my first few rankings will be subjective. In preseason this means I look at what I believe the potential of each team is rather than a mathematical assessment of results, which is my approach after the first few weeks (and a couple of weeks’ transition). Of course there are several teams that could under some circumstance end up winning the whole thing, but some of those could also finish outside the top 20. I think the odds are against Alabama being the national champion this year, but I can’t think of a single team more likely to be the national champion. I also can’t imagine the Tide losing more than maybe 3 games despite what may well end up being the best schedule (SEC West + Florida St. + Tennessee). So I think their range of likely outcomes is better than that of any other team. The teams that I basically considered eligible for my preseason top 25 were the top 52 teams from last year (I thought it was worth looking into Arkansas and they were 52nd, so that’s the only logic there) and any other major-conference teams which had 16 or more returning starters (not counting kickers). I had some trouble reducing the number of teams I wanted to consider though, so I did make somewhat of a formula just to give me a range of where I might want to put teams and to reduce the number to around 30 teams to consider. This formula was just based on last year’s rating in my system (modified to make them all positive numbers) and number of returning starters. This was a rough estimate of how good the returning group of players is. The last team I eliminated was Georgia Tech. Despite some other returning starters, the Yellow Jackets don’t have returning kickers or a returning quarterback, so I thought it was more likely that they would take a step back from last season at the end of which I had them 24th. That was the only team I really struggled with. There is a lot of talent to replace, but that hasn’t stopped this man from smiling at the end of the season before. 1)	Alabama has a relatively small number of returning starters, but that has not stopped them from having very good teams in the last few years, and this time we know who the quarterback is because he’s among those starters. The Tide was a close #2 last year (both on the field and in the ratings) and was far ahead of #3 Ohio St.
2)	Speaking of the Ohio St., they had among the fewest returning starters last season and still made the semifinals. I wouldn’t care if they lost that last game 100-0, it took a quality program to get there under the circumstances. I briefly considered the Buckeyes for the top spot. 3)	Other than Clemson, Florida St. is the other recent (2011 and after) major national champion I haven’t mentioned. After being blown out against Louisville and losing a nail-biter against North Carolina, the Seminoles dropped only one game, one they easily could have won against Clemson. 4)	Despite the ’Noles’ impressive finish, I had Oklahoma finishing ahead of them in the final rankings last year. Being that they have 16 returning starters including a very good quarterback, I could not justify ranking the Sooners any lower. I strongly believe this is the most likely final 4 even though Florida St. obviously plays Alabama in a few days. 5)	Penn St. won the highly competitive Big Ten last season and returns 16 starters, so yet again they may be the best team out before the bowl season. Or perhaps the loser of Alabama/Florida St. can’t walk the tight rope the rest of the year, which will open up a spot. 6)	Speaking of walking a tight rope, that’s what Clemson did for most of last year. I don’t believe those Tigers would have finished the SEC or Big Ten with only one loss, but that’s a different scenario from being the best team in the country for one game (maybe two) at the end. That’s not to say they weren’t the deserving national champions, but – being that they will have to find a new quarterback and replace approximately half of the starters – I consider Clemson less likely to finish in the top 5 than the others. 7)	Wisconsin finished a close second in the Big Ten to Penn St., and the championship-game loss was the Badgers’ only loss since falling in overtime to Ohio St. on October 15. The Badgers return 15 starters. 8)	Stanford had an awful 9 days in the early season last year in which they were outscored (by the two big Washington teams) 86-22. But other than that, the Cardinal only had a single 5-point loss and I still ended up ranking them 13th. They return 16 starters. 9)	There is no other good combination of strong finish last year and high number of returning starters. One team I was personally impressed with was Oklahoma St. I just feel like the Cowboys have a little bit better upside potential. The defense will be a question mark though. Two of the most exciting quarterbacks this season are expected to be in the state of Oklahoma. 10)	Rounding out the top 10 is Washington. I don’t really expect them to finish in the top 10, but I think it’s right to show some degree of deference to a team which made the semifinals last year, and I just don’t think much on paper separates #9 to about #15. 11)	Georgia replaced Mark Richt before last season and got worse, but I think it was most likely part of the calculation that the Bulldogs were not likely to have a great season either way. Their only losses down the stretch were two games by a point apiece (Vanderbilt and Georgia Tech) and the Cocktail Party against Florida. I think the results of games like that will be overturned with the benefit of experience that 17 returning starters provide. 12)	Speaking of Florida, I don’t think we can overlook them in the East either. That Cocktail Party game can go either way though, and 14 returning starters after winning the East is still pretty good. The Gators had to play two of the best-finishing teams toward the end, or otherwise they could have finished in the top 10. 13)	I had to split up the group of SEC teams with someone, so I chose the SEC’s nemesis (though not on the field) from 13 years ago or so USC. 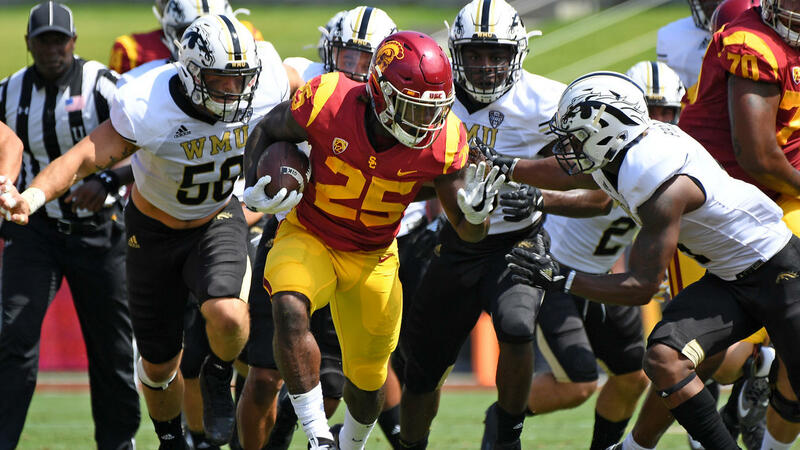 The Trojans had an overdue breakthrough season last year, winning the Rose Bowl; but the Men of Troy do not have a large number of returning starters, so I’m skeptical they can do it again. For the first time in 10 years, Ed Orgeron will lead a team onto the field to start the season. 14)	So this is the lowest I have ranked LSU in the preseason in a long time, but I have to treat the Tigers like I would any other team in their position. The program has been out of the spotlight for the last 5 seasons, and I think they’ve lost too much talent to be a vast improvement over last season. But #14 is a lot better than they finished in my ratings last year, so this doesn’t mean I don’t expect improvement. The Fighting Tigers lost three games in the waning moments and had an eminently respectable loss to Alabama. If they can open up the same opportunities, the improved offensive coordinator and quarterback situation could make the difference. 15)	One of those last-second LSU losses was to Auburn, whom they briefly appeared to beat last season before it was determined time expired before what would have been the winning score. Those Tigers return more starters, but it’s still not clear why the Plainsmen fell short of expectations last year despite making the Sugar Bowl. While I understood why they made the Sugar Bowl, I did not believe they were the most deserving team for that game. I give a little less credit to returning starters on a team that in its last five games lost three games (and didn’t look good in any of them), barely beat Vanderbilt in a home game, and beat up on Alabama A&M. 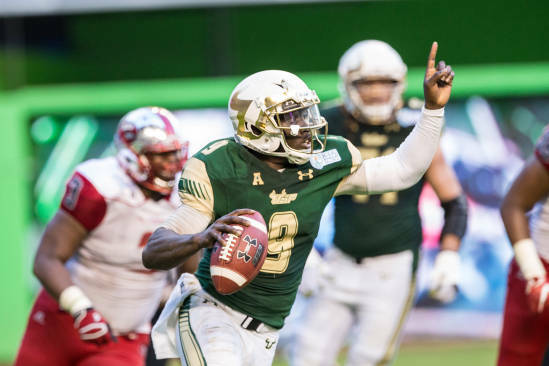 You might hear a lot about South Florida and Quinton Flowers this season. You also might hear the phrase “strength of schedule” mentioned at the same time though. 16)	Although they barely beat South Carolina in the bowl (which is why I had to put them below 5 SEC teams), South Florida made significant strides last year and returns a large number of starters including a senior quarterback and two senior kickers. The Bulls only plan to start a handful of players who aren’t juniors or seniors. It could go either way, but USF could easily be the last undefeated team this season. 17)	This might catch some people off-guard, but Kansas St. was solid in most of every game last year. The fell behind early in Norman and could never quite catch up, but that was the only big loss (21) and was back on October 15. The only loss since was by six to Oklahoma St., and in the following weeks they won by more than 20 points in both Waco and Fort Worth. Fourteen starters including the quarterback return. 18)	I mentioned Mark Richt, now at the U. of Miami, above. He definitely has the ability to get teams into this range, although the top 10 has been elusive for some time. The Hurricanes have to find a new quarterback but return 15 other starters after winning their last five games easily last season. The Notre Dame game is mystifying to me, but three of the four losses were by one possession. 19)	Louisville didn’t go out with a very good look in the bowl loss to LSU last season with the aforementioned blowout of Florida St. a distant memory. The Cardinals also finished out with a big loss to Houston and what must have been a frustrating loss to Kentucky. Lamar Jackson is back, but with all of his major targets and most of his blockers missing. The defense has holes too, but that was not a stellar unit in the first place. 20)	Northwestern nearly beat Ohio St. late in the year, and I can forgive losing to Wisconsin by 14. Losing to Minnesota by 17 isn’t great, but those were the only three losses since last September. The Wildcats return 17 starters. We’re in the area where everyone has some flaws, so that’s good enough for me. 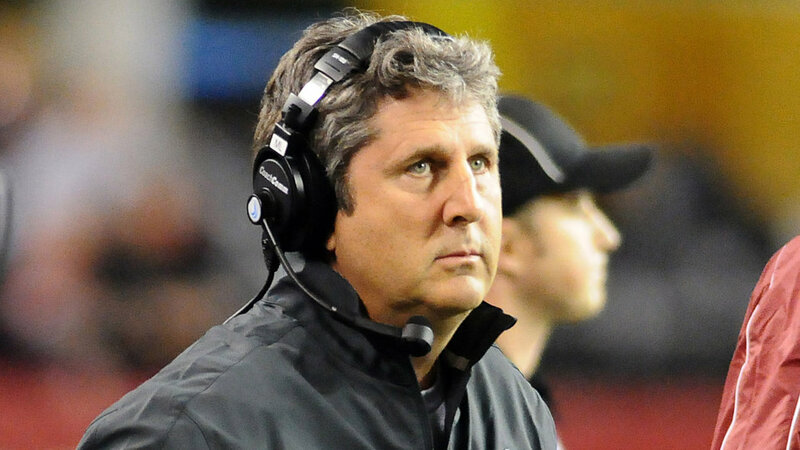 Mike Leach can run an offense, but his teams have struggled with consistency throughout the season. 21)	Washington St. will return 16 starters including the quarterback and had an impressive 8-game winning streak before understandable losses to Washington and Colorado (although they could have been closer). The bowl performance was uninspired, but they could have easily won that one as well as the two losses the Cougars suffered to begin the year. The two early losses are mostly the ones that kept Wazzu out of the top 25, but since that was nearly a year ago, I can’t figure those too highly. 22)	TCU was very inconsistent last season, but Gary Patterson has managed to bounce back before (such as improving from 4-8 to 12-1 from 2013 to 2014), and I don’t see why that should change. The Horned Frogs have 17 returning starters including quarterback Kenny Hill. 23)	Tennessee in some respects had a breakthrough season last year with wins over both Georgia and Florida, but they also showed they were not quite ready for prime time in some other games. I expect a little bit more of the latter this year, but like Texas I could at least see them as a spoiler team for someone. 24)	Texas had a losing record last year, but they played pretty well in losses (apart from the last quarter and a half of the season against TCU), and I think the combination of experience and a new coach could make them at least a spoiler in the Big XII. 25)	I mentioned TCU bouncing back from a 4-8 season a few years ago, and Oregon will try to do the same. I don’t think they’ll win 12 games, but 8 may be attainable. Three of the losses were by only three points apiece, and I think the win in Salt Lake City was a preview of what could happen next season. Of course then the Ducks went and lost to Oregon St.; but again, maybe they won’t have letdowns like that with the benefit of experience. I’ll keep you in suspense with my conference assessment (although you can find the summary here), but I thought it was interesting that Ohio St. and Washington were able to stay in the top 4. I know the last time I did a blog Penn St. was #4, but they actually fell to #5 after the Army/Navy game and FCS postseason games were added in. Clemson didn’t win by as much as the champions have won previously in the CFP era, so my only concern is what if a 2-loss team ends up winning the national championship over a previous unbeaten? The winner might not be the best team in my rankings in that scenario; but it would be hard to have an NFL ranking that would put a 10-6 Super Bowl winner first, so I don’t regard that as a huge issue. Congratulations to Clemson for not only having the best team (at least in the fourth quarter on Monday) but also the best schedule. I also thought it was interesting that for the first time since I’ve been doing this the team with the best schedule is the national champion. Of course it didn’t hurt that they played three SEC teams and Ohio St. in addition to their ACC schedule. Back to the other teams… to be fair, if you divide by playing week, Oklahoma and Florida St. would have passed up Washington. Also, Western Michigan (which had a conference championship game) would have fallen to #11. USC closed the gap with Penn St. pretty well, but they were too far apart to start with for the Trojans to go ahead. USC did finish in the top 10 though, while Michigan fell out of the top 10 for the first time since Week 4. LSU didn’t squeeze into the top 25 even though they beat the #25 team Louisville, but the Cardinals had built up enough of an advantage over the course of the season. The ACC bowl results didn’t hurt, although as I’ll discuss in the next blog the SEC didn’t do too badly either. It also hurt the Tigers to have one fewer playing week. If you average ratings by playing week, LSU would have finished 22nd. If you give the Tigers a win over South Alabama (the canceled game), LSU would have probably finished 20th. Other big movers were Tennessee, Oklahoma St., and Florida, which all improved 4 or 5 spots. Along with the teams that fell out (and Louisville), big movers in the wrong direction were Colorado, Boise St., and West Virginia. South Florida actually fell a few spots despite beating South Carolina, but that was largely due to a disastrous bowl season for the American Conference (or AAC). Stanford only had a modest gain after beating North Carolina, but the Pac-12 didn’t have a great bowl season either. It only qualified 6 teams, and only 2 other Pac-12 teams (USC and Utah) won bowl games. 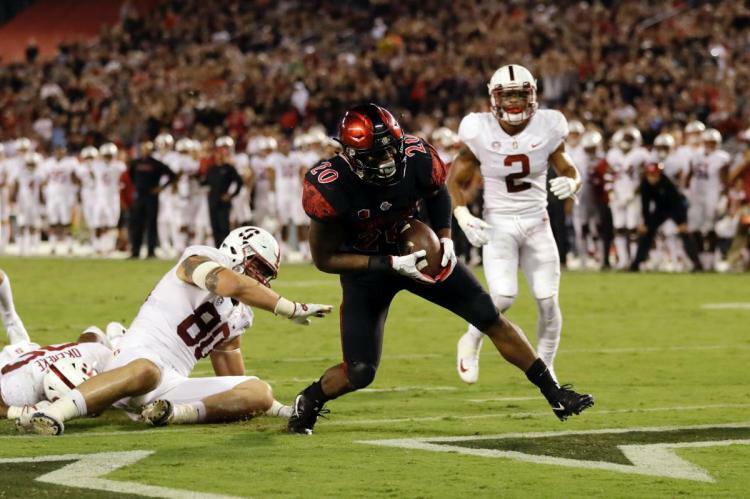 Stanford did not play Utah this season and USC was also in the other division, so the other wins didn’t help the Cardinal as much as another Pac-12 North win would have.